Secret’s Out: Guess Who’s Contributing to PBE? There’s alot happening leading up to this year’s event you don’t want to miss! After years of working a traditional 9-to-5 roles, this past April I decided to dive fully into the wild world of freelance writing and consulting. If you asked me 5 years ago what my “plan” was it would have been to have a cushy director-level title at a print publication or perhaps brand. Prior to this, I juggled full-time positions everywhere from PR firms to e-commerce fashion company to helping a major website build out their beauty content. Yet something was missing, I wanted to truly help amplify women and/or minority-led businesses find their voice in the sticky beauty industry that often treats diversity and inclusion as buzzwords versus brand pillars. Last year, I invited was to attend Project Beauty Expo, a multicultural beauty experience that felt authentic, timely, and on the cusp of something major. 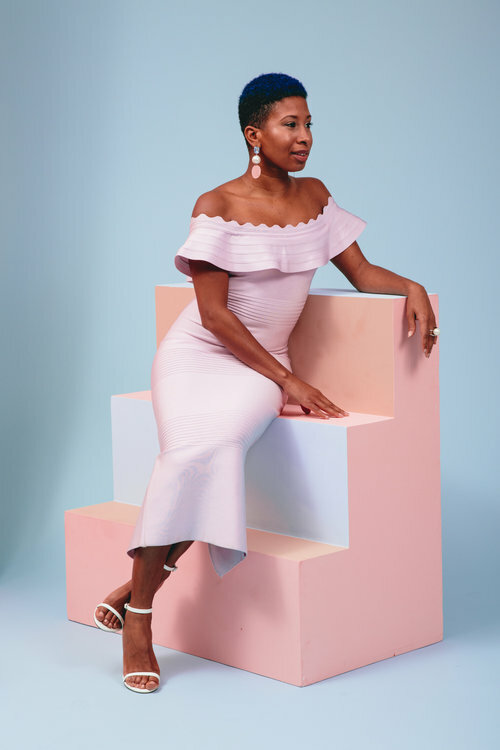 Listen, founder Brittany Brown is a woman to watch—she not only values diversity within the wellness industry but is also laser focused on the growth of her platform online and IRL. Plus, she has a undeniable passion for helping indie brands created by women of color. If you missed last year’s NYC event, fret not—you can watch a video here. It was truly the epitome of #BlackGirlMagic come to life—I spied a few of my fave beauty/wellness girls: Siraad Dirshe from Essence Magazine, Desiree Verdejo of Vivrant Beauty, Lauren Napier Cleanse, Lauren Ash of Black Girl in Om, Lindsay Day of CRWN Mag...the list goes on and on. On a whim, I reached out to Brittany to ask how could I help take PBE’s editorial content to the next level. Typically, the stories of female entrepreneurs of color get minimized by mainstream media, so it’s our responsibility to ensure others are both aware (and inspired) by the journey. I wanted to make sure both Brittany and PBE were pushed to the forefront. What’s to come? Well, you will have to wait and see! This year’s NYC event takes place on August 12th but leading up to the event you can anticipate rich, editorial content ranging from founder stories to product recommendations and wellbeing to finances. Don’t forget to purchase your tickets for #PBE2018 here.